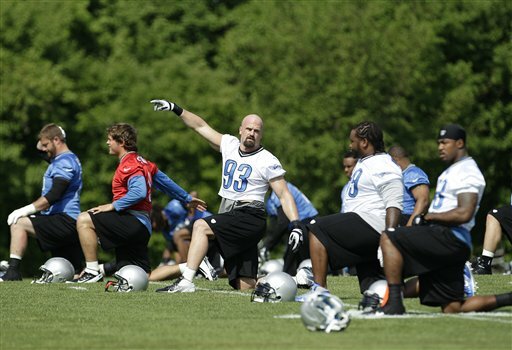 Kyle Vanden Bosch, entering his third season with the Lions, is coming off one of his better seasons. Here are three reasons Vanden Bosch is a key to the success of the defense. 1. He’s a heckuva defensive end and makes the defensive line a nightmare for opposing teams. He’s a veteran, knows the scheme and produces. 3. Vanden Bosch has a regimen, implemented by Jim Schwartz, that forces him to sit out some practices to rest his 33-year-old body. However, when he is practicing, he is full-go. He’ll chase a player 20 yards downfield and he’ll do it all day long. That’s leadership at work. It’s quite impressive.